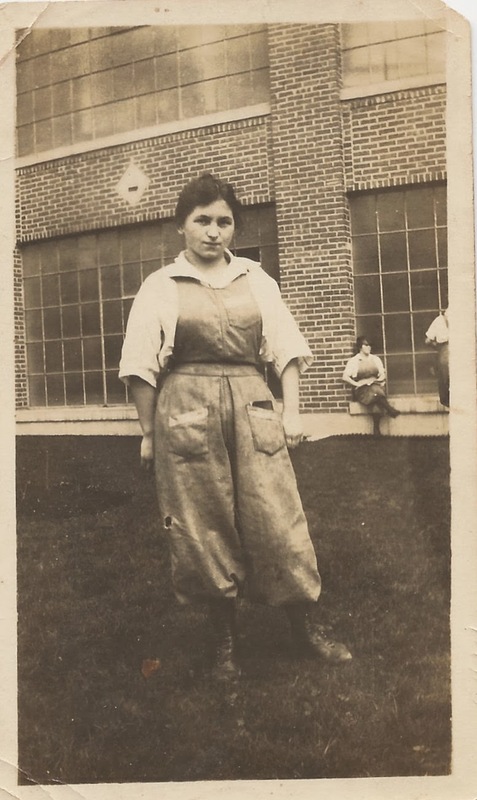 Although she was not well documented elsewhere in Issaquah’s past, Mrs. Elsie Wendt made the news for working in the coal mines. On December 31, 1922, this Seattle Times article documented Elsie Wendt’s conviction that women should learn to do their husband’s trade. Click on the image to view it in its entirety. From the December 31, 1922 Seattle Times. Last year was the first year we debuted our Top 10 records of the year. You can see that post here. 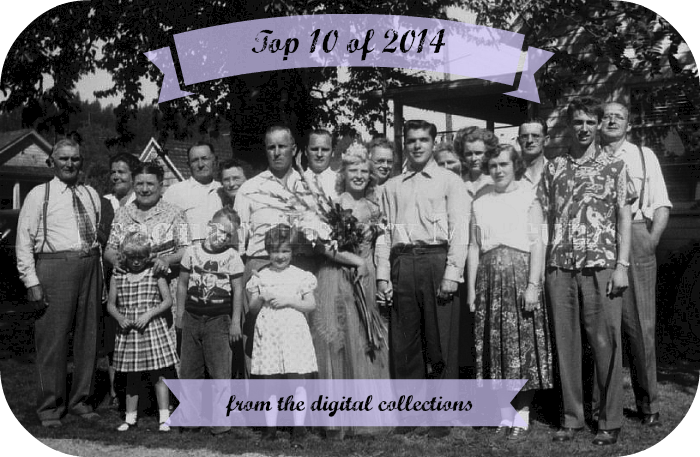 So continuing in that tradition, here are the top 10 records of 2014. Accessed 52 times, this is the transcript of Dorothy Hailstone Beale oral history as interviewed by Maria McLeod on October 27, 2006. Topics covered include the KKK, the Depression, World War 2, and many other interesting topics. This pictures was #2 on our list last year. Still a popular picture it seems as it was accessed 53 times; it’s from Josephine Cornick’s personal collection of pictures. Presumably Jo’s friend stands outside Issaquah High School in her gym pants. This is a new one to the list – a photo of Fifteen Mile Mine taken at the entrance. In a tie with #8, this photo was accessed 53 times this year. 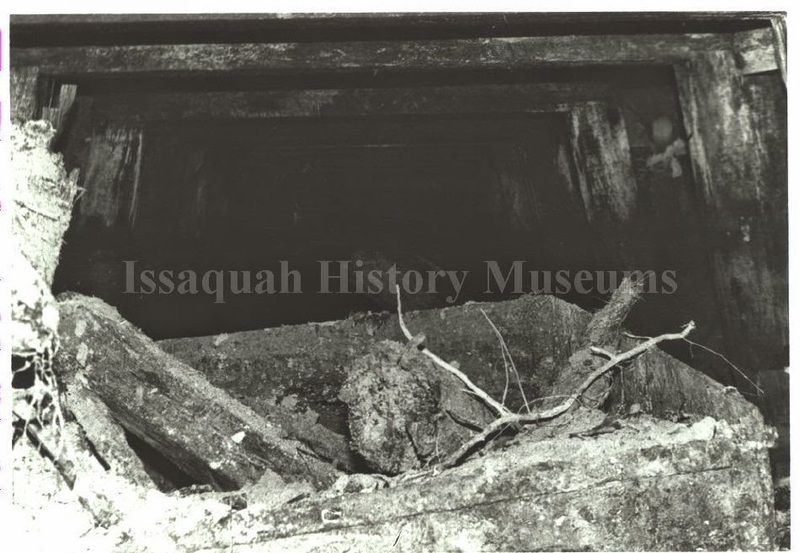 This is the mine where George Weyerhaeuser was kept when he was kidnapped in the 1930s. No mining was actually done out of the Fifteen Mile Mine – instead it was a stock scam. 7. Oral History Transcript of Jake Jones Jr.
Accessed 56 times in 2014, this transcript of Jake Jones Jr. oral history contains fascinating and colorful stories touching on many, many topics of early Issaquah. A perennial favorite of ours, this photo of the Alpine Football Team was accessed 63 times. View the full record (linked below) for another image with listing of names. 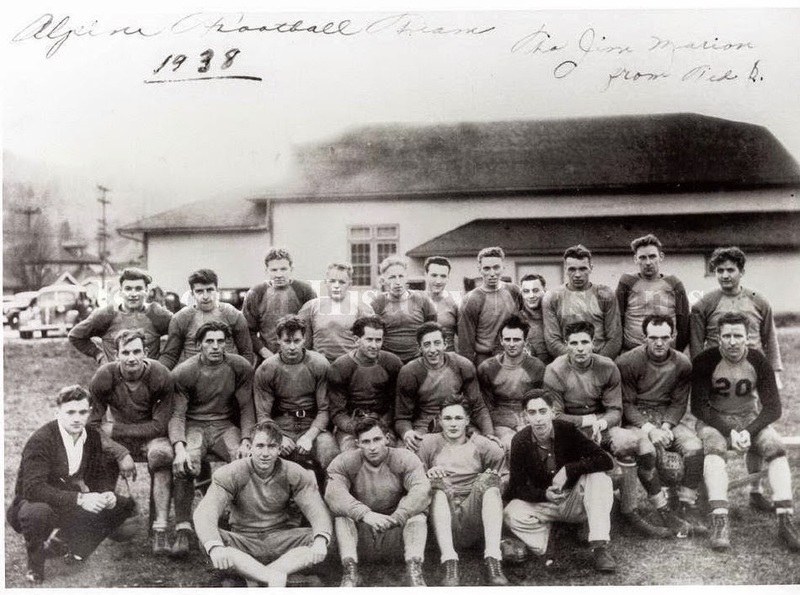 Click here to view all records of ours relating to this scrappy semi-pro football team of Issaquah. This transcript of Bill Evans’ oral history was accessed 64 times in 2014. We’ve written about Bill Evans before – here, here, and here. This letter was #4 last year as well as this year. This letter from Fran Pope jumped from 51 times accessed in 2013 to 135 times accessed in 2014. 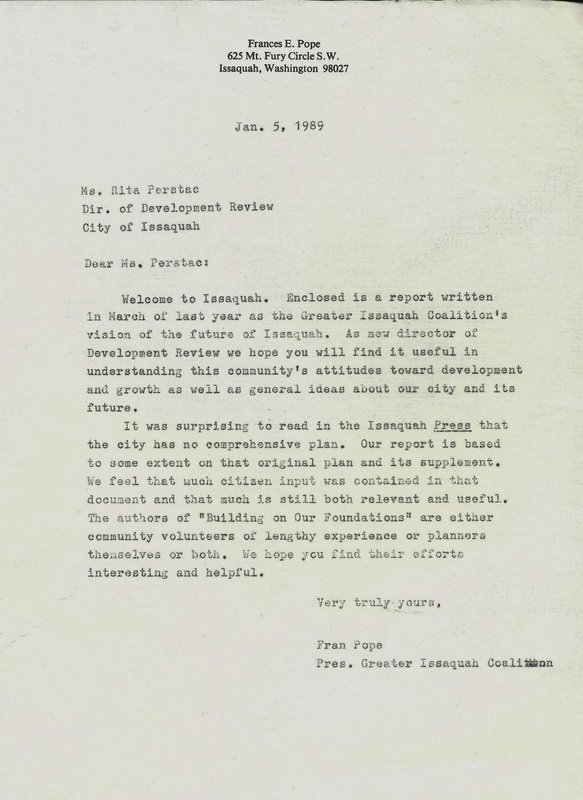 This letter is an important part of our Greater Issaquah Coalition Collection. 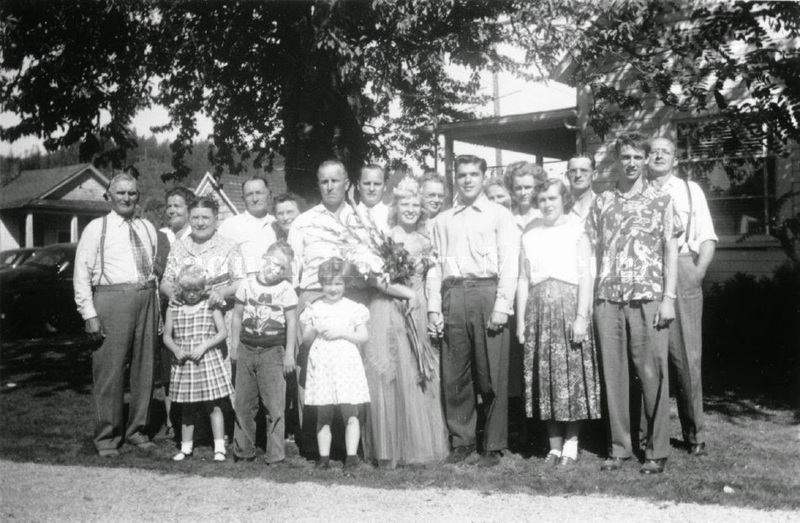 Accessed 177 times, this photo shows Labor Day Queen Arline Nikko front and center holding hands with her future husband Floyd Hefferline. Far left is Matt Nikko; over Arline’s right shoulder are her twin uncles Larry and Toivo Nikko. See full record linked below for more information. This photo was accessed 181 times in 2014. Janice Ott was a victim of serial killer Ted Bundy. 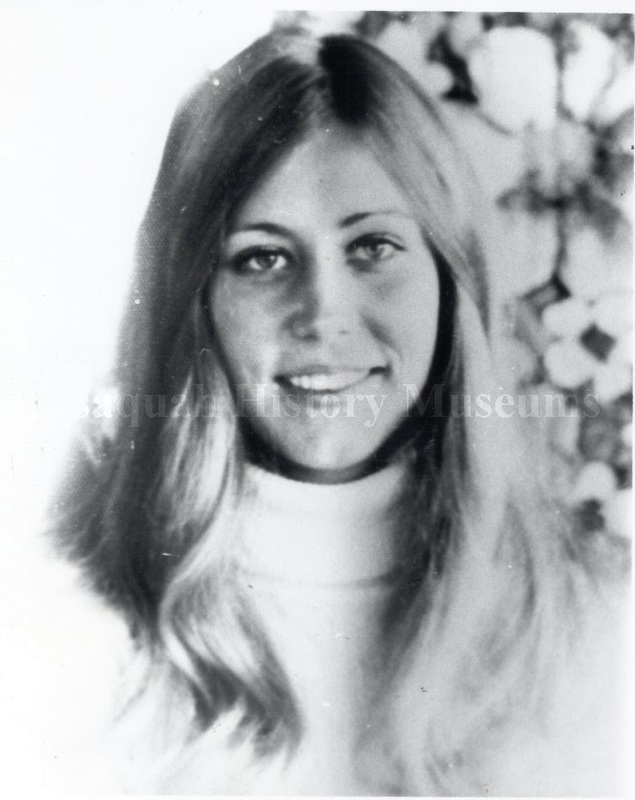 She was abducted from Lake Sammamish State Park on July 14, 1974 along with Denise Naslund. Their remains were later found together on Taylor Mountain. Ott was a resident of Issaquah at the time of her death – she lived in a house on Front Street near the Issaquah Press Building. This photo is very popular – it was #1 last year as well! Last year it was accessed a mere 64 times compared to this year’s 325 times! 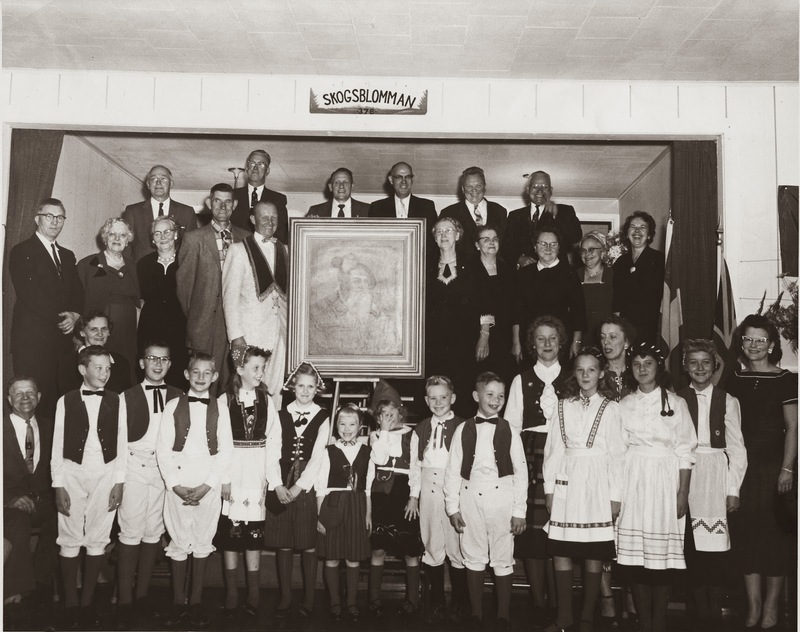 This photograph commemorates the opening of the new Vasa Hall in Upper Preston in 1950. Ernie Nyberg is just to the right of center in the back row. Buford Ambrose is the tallest in the back row. More information can be found in the full record linked below. Today the CEO of Massey Energy, Don Blankenship, will appear before a Senate panel in order to answer questions about the Upper Big Branch mine disaster, which occurred on April 5, 2010. Twenty-nine miners perished in the explosion, whose immediate cause is still unknown. High methane levels may have been a contributing factor. STEVE NEARY (anchor): And what has Massey been saying about all this? Sen. Robert Byrd, D-W.Va., took strong exception, saying the mine had “an alarming record” of serious infractions. “I cannot fathom how an American business could practice such disgraceful health and safety policies while at the same time boasting about its commitment to the safety of workers,” said the 92-year-old senator, speaking hesitantly but forcefully from his wheelchair. Massey had been cited for safety violations numerous times in recent years; they also made headlines when they refused workers time off to attend the funerals of the 29 dead miners. And what on earth does this have to do with the history of Issaquah? 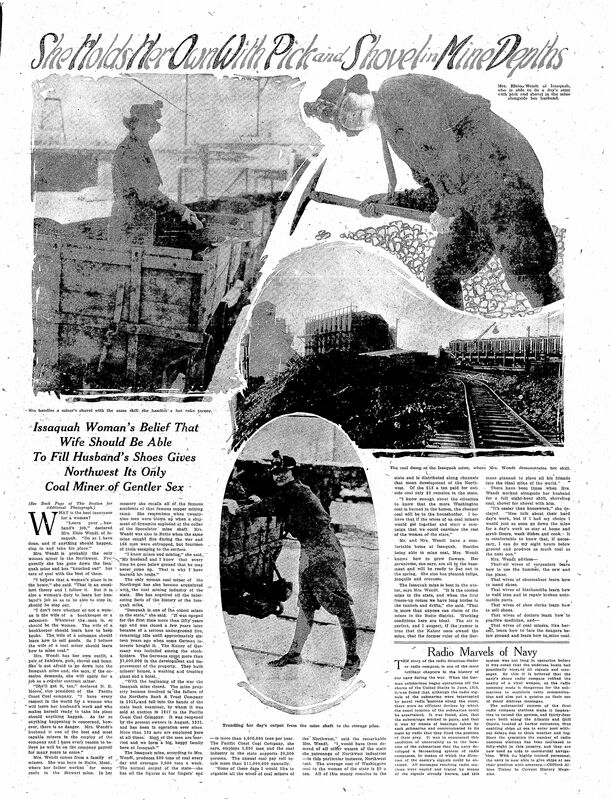 Issaquah owes its first period of rapid growth and expansion to coal mining. Between 1892 and 1904, Issaquah’s mines averaged more than 100,000 tons annual production. It was no coincidence that the same time period saw the rise of labor unions in mines all over the area. There were fewer incidents of death and injury than there were in places like Black Diamond and Roslyn, but mining was inherently dangerous. Large scale disasters aside, injuries were not uncommon, and many of them resulted in permanent disabilities. Labor unions sought to secure fair pay and safer working conditions. Safety measures cost money and ate into corporate profits. And so the balancing act began. One of hundreds of items on exhibit at the Gilman Town Hall is a certificate of membership in the United Mine Workers of America, dated 1907. The text reads, “Miner’s Record. This is to certify that Andrew Hendrickson was admitted as a member of the United Mine Workers of America in Local Union No. 2362, District No. 10 located at New Castle State of Washington on the 19th day of July 1907.” The certificate is in full color and features drawings of mine workers on the job, men leaving home for work, returning home with a disabled brother, and at a union meeting (“In Union there is strength”). There is also a sketch of “Pay day for the miners, doctors, and agents,” as well as a large picture of posh homes and well-dressed people labeled, “Homes of the Operators.” This is an interesting statement on a poster that otherwise focuses on the hard work of the miners – a pointed reminder that all their hard work profits those who own the mines. Today coal mining is still one of the most dangerous professions, and still an industry where workers and management struggle over the balance between profitability and worker safety. My last post regarding anti-German propaganda and the use of the term Hun during WWI created quite a discussion. You can read the comments and my response in that post. I want to continue along the same vein of German hatred during WWI, and how it directly affected someone involved in a large part of Issaquah history. Around 1912, Gustav Konstantin von Alvensleben held stake in Issaquah and Superior Mining Company. Von Alvensleben was the godson of the Kaiser Wilhelm and came to America with millions of dollars to start his businesses. He became directly involved in the Issaquah mines, helping to turn the business around after it faced bankruptcy. The mine facilities were brought up to modern standards of the time and he worked to ensure fair wages, humane working conditions and cooperation with the unions. The mine was booming once again. When WWI came around von Alvensleben was living in Canada. Canada entered the war as a part of the British Empire and so von Alvensleben had to flee to America as he faced arrest for being German. Leaving all his assets behind to be seized as enemy property, he escaped to an America not yet involved in the war. 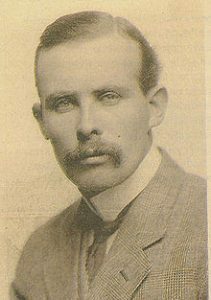 But in 1917, when the United States entered WWI, von Alvensleben became a suspected spy by the Counter Intelligence section of the United States Secret Service. A business associate of von Alvensleben’s happened to be a part of this Counter Intelligence section and was able to arrest von Alvensleben. 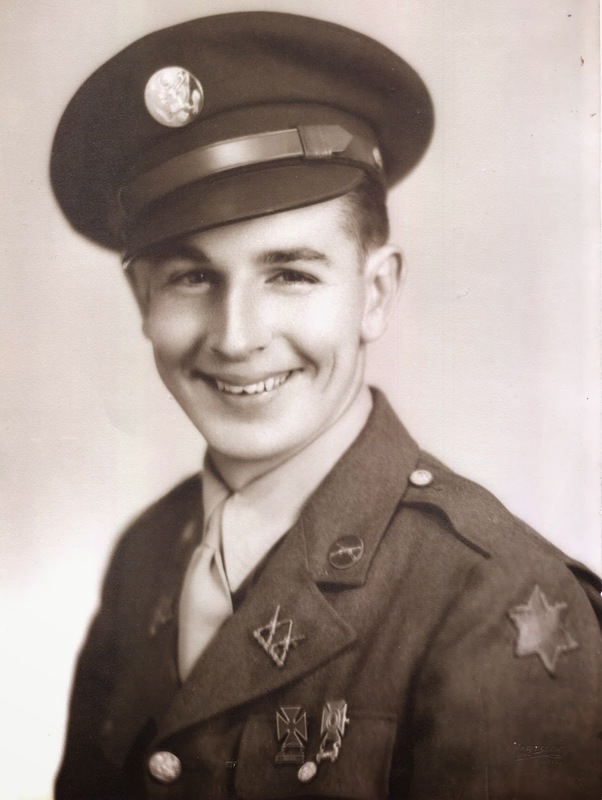 He was transferred to an internment camp at Fort Douglas in Utah. I was surprised to learn of internment camps during WWI. We are taught about the Japanese internment camps during WWII, but not so much about German ones during WWI. Fort Douglas in Utah housed Prisoners of War, Alien Enemy Civilian Internees, and Conscientious Objectors. Von Alvensleben was one of about 785 Alien Enemy Civilian Internees. These men were rounded up by the Justice department mostly from the western United States and were civilian men of German and Austro-Hungarian citizenship.Von Alvensleben was arrested on August 8, 1917 and interned 10 days later. He remained at Fort Douglas until March 3, 1920. For reference, the German armies surrendered on November 11, 1918. After the war he was acquitted of all charges – among his defenders was his arresting officer. He was naturalized as a citizen in 1939. He was never able to return to the economic success he had prior to the war because of the assets seized by Canadian government.